The Victorian style of conservatory is among the most favoured types in the south west of England and it is easy to see why given the great amount of style they afford. 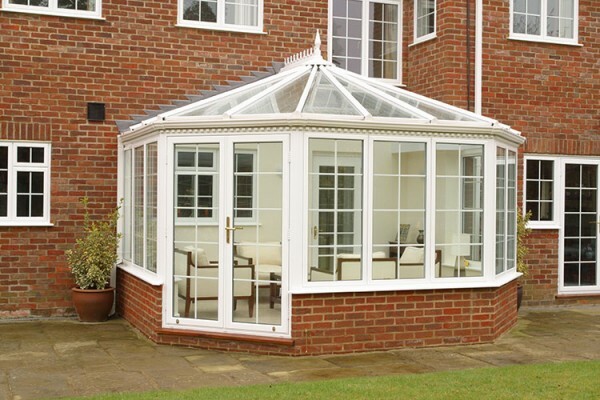 Firstly, it is worth mentioning that the aluminium Victorian conservatory constructions on offer from Countryside Windows are perfect for blending in with other glazed Victorian architectural elements, such as greenhouses and atriums, but this is not the only reason they remain a popular choice. When considering the style of conservatory that might best suit your home, it is important to note that this type works exceptionally well with a wide variety of dwellings. From Costwold stone country cottages to more modern houses, an aluminium Victorian conservatory will fit in perfectly. Inspired by an era when the Gothic style was the height of fashion, our conservatories come complete with ornate crestings and finials which look superb no matter what sort of home you live in. All of our aluminium conservatories offer a great deal of robust construction, despite the style that harks back to an earlier romantic renaissance period. Unlike other construction materials, the glazing and aluminium struts provide superb heat retention properties which are essential for enjoying your home’s addition well into the autumn and beyond. The materials simply reflect heat back into the internal space when it is cold outside and also provide superb levels of air tightness, so you don’t feel unwanted draughts or lose heat unnecessarily. 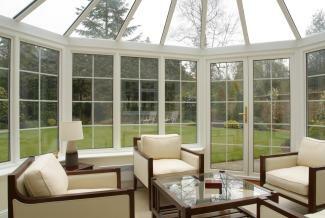 However, it is perhaps because these types of conservatories are just so versatile that they are so often chosen. As mentioned, our Victorian-styled conservatories have the ability to complement almost any type of property, new or old. However, they can also be readily adapted to function within the limitations of whatever space happens to be available. This versatility in design means that they are equally as suited to the side of a property as they are to the back. They can even work well on a corner of a home, if wanted, too. Some homes with a large rear garden will suit the addition of a stylish Victorian conservatory but they are also equally at home on more modest plots where a small patio area, lawn and conservatory all have to fit in together in a complementary way. If you are looking for a style that will suit your home and unsure what sort of conservatory to go for, then it is well worth asking a member of the team about the suitability of a Victorian aluminium choice and the options that are available to you.